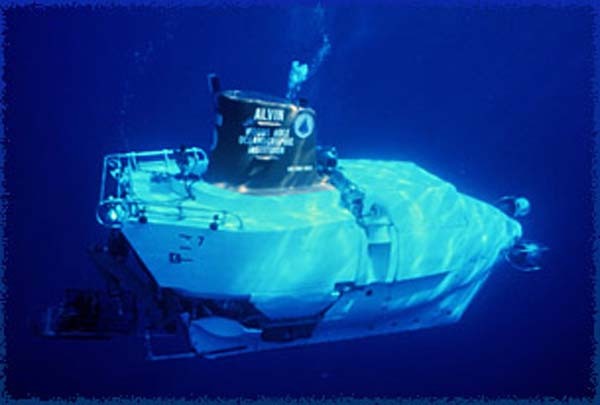 The Alvin is one of the few submersibles that actually carry a crew. The illustrations are included by courtesy of Woods Hole Oceanographic Centre website. 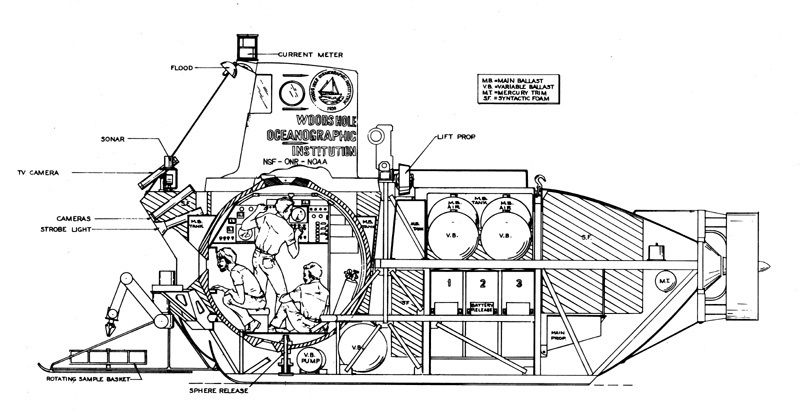 Since the first discovery of the volcanic vents in the Galapagos Islands many more expeditions to many parts of the world have been carried out, both by Alvin and other submersibles. One of the most recent in April 2010 was the British expedition to the Cayman Trough in the Caribbean. They discovered the world's deepest underdersea volcanic vents so far visited. They were 3.1 miles (5000 metres) deep in the Cayman Trough in the Caribbean, half a mile deeper than had been been visited previously. Using a deep-diving vehicle remotely controlled from the Royal Research Ship (RSS) James Cook they found slender spires made of copper and iron ores on the sea floor and water erupting at temperatures hot enough to melt lead. Most exiting they discovered a rich and varied biosphere.